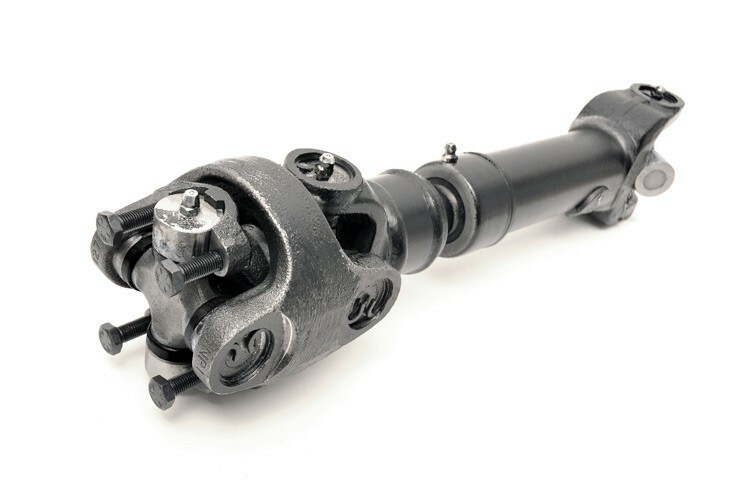 This double cardan style CV drive shaft is recommended for Jeep XJ Cherokee models equipped with 4in - 6in suspension lifts to prevent driveline vibration and the rear output shaft from breaking. After lifting your Jeep XJ Cherokee a CV (Double Cardan) drive shaft is a good choice to eliminate vibration issues and provide the longest lasting drive shaft. Recommended on models with 4in - 6in of lift.